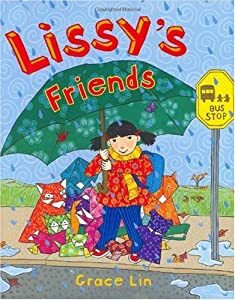 My son and I read a sweet story last week: Lissy’s Friends written and illustrated by Grace Lin. It is the story of Lissy, the new girl at school. That probably sounds familiar. However, the twist in this story is that to deal with knowing no one, Lissy creates some friends – from origami paper. She starts with a bird fashioned from the school menu, which she appropriately names Menu. Lissy creates many more animal friends, until a playground mishap blows these paper friends away to Paris. 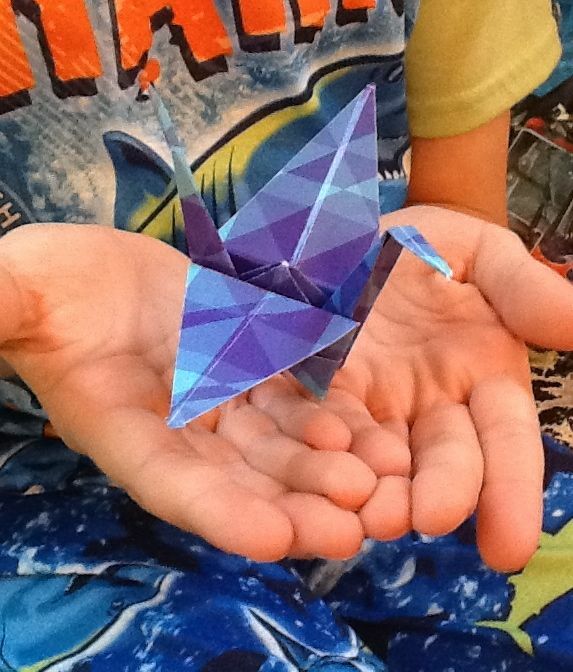 Other children have been watching, and they want to make origami too. Lissy makes new school friends by sharing a talent special to her – origami. She finds new friends on her own terms. I know a little about origami. My father makes origami boxes and animals to delight his children and grandchildren. He has given me several origami kits over the years, which I have used to make some basic origami animals. See one of my son’s creations at the bottom of this post. Origami reminds me of the creative process, as well as the revision process. Origami begins with just paper (albeit, colorful paper); paper that is two dimensional and flat. With a few folds, it is turned into something that has a life of its own. A story has similar potential. It can start with an idea, and grow into something that has a life of its own. It can be scary to revise, especially if you consciously notice the story changing. But if you allow the process to take the story where it wants to go, the results can be amazing. Your story sometimes goes where you never thought it would, and it is a much richer, more interesting story after the journey. How do you create something transformational in your writing, or in other creative pursuits? I would also like to give a plug to the program that brought Lissy’s Friends to my family. Both of my children have participated in Dolly Parton’s Imagination Library. It is a program that brings a new, age-appropriate book to preschool children in their homes each month until they turn five. Our local United Way sponsors Imagination Library in our area, and my children love receiving a book in the mail addressed to them. They can’t wait to see what stories each new book has to tell! This entry was posted in Book Reviews, Katie, Picture Books, Writing. Bookmark the permalink.